The issue of juvenile justice is gaining more attention nationally, and for good reason. Even as youth incarceration has declined by 50 percent since 2003, these declines have exacerbated racial disparities. According to the Haywood Burns Institute, when compared to white youth, black youth are five times, Native American youth are 3.2 times, and Latinx youth are twice as likely to be incarcerated—and in some states, this disparity is even higher. On any given day, 53,000 youth are incarcerated within the juvenile justice system, with one in five being “detained” awaiting a hearing, sentence, or placement. And the cost is astronomical. According to the American Civil Liberties Union (ACLU), the average cost of incarcerating a juvenile for one year is between $35,000 to $64,000, depending on the state. In contrast, the cost of Head Start ranges by state between roughly $7,000 and $11,000 a year. The dynamics of profiting off of incarcerating youth are also concerning, as discussed previously in NPQ. In addition to the costs, both human and monetary, under the current system there are long-term consequences for youth. These include worse physical and mental health outcomes, lower educational attainment, and increased likelihood of incarceration as an adult. It is with this backdrop that a new report was released this week from the Urban Institute in partnership with Youth First Initiative, a nonprofit dedicated defining warfare safe and economically sound alternatives to youth presents. 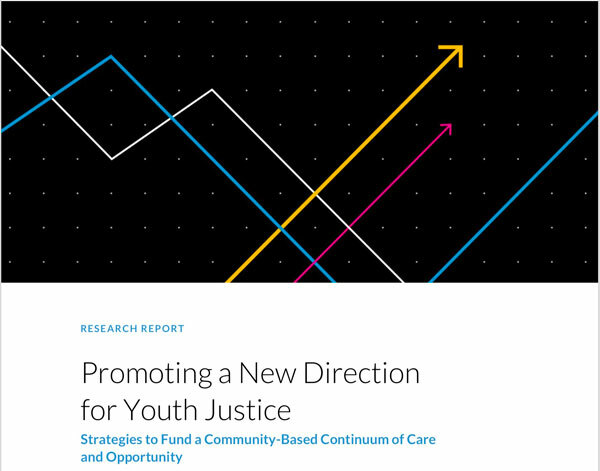 The report, Promoting a New Direction for Youth Justice: Strategies to Fund a Community-Based Continuum of Care and Opportunity—authored by Samantha Harvell, Chloe Warnberg, Leah Sakala, and Constance Hall—focuses on fostering a community-based continuum of care as a comprehensive juvenile justice reform strategy by orienting systems to function in ways that support long-term well-being of young people. A review of relevant program materials, research, and reports of identified programs, examples, and strategies. educational and vocational support and programming, apprenticeships, etc. By integrating services, this model addresses multiple needs simultaneously by ensuring that services are culturally appropriate, effective, and responsive to the evolving needs of youth and families. Can California Adjust to Good News and Shift Spending from Jails to Schools? In California, juvenile crime is down—way down. But the state still spends $15 billion a year on detaining young offenders, even as public schools are desperate for resources.